"There are no dangerous thoughts for the simple reason that thinking itself is such a dangerous enterprise." 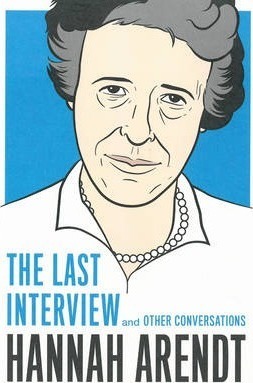 --Hannah Arendt In these interviews--including her final interview given in October 1973, in the midst of Watergate and the Yom Kippur War--Hannah Arendt discusses politics, war, protest movements, the Eichmann trial, Jewish identity, and language with the incisiveness and courage that always set her apart. HANNAH ARENDT (1906-1975) was one of the foremost political philosophers of the twentieth century. She fled Europe for the United States in 1941 and spent her career as a professor at a number of American universities, including the New School for Social Research and University of Chicago. She is best known for her books The Origins of Totalitarianism and Eichmann in Jerusalem.